Please allow 4-6 weeks delivery for us to make your chosen ring size. 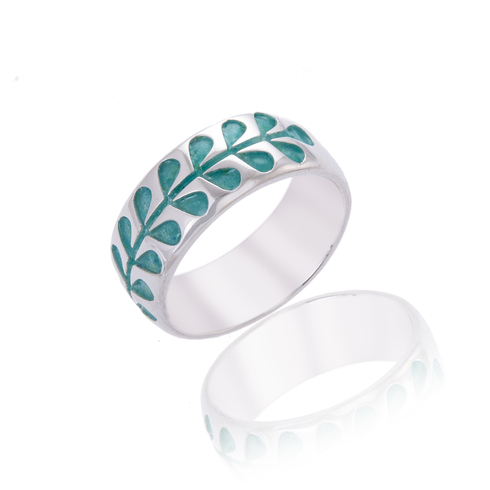 Order this one ring size larger than your normal measurements as it is a wide ring. A beautiful and dramatic enamelled ring measuring around 10mm wide .